Jouan CR3i Multifunction Benchtop Centrifuge - For Parts - Bad Mainboard . New Life Scientific, Inc. 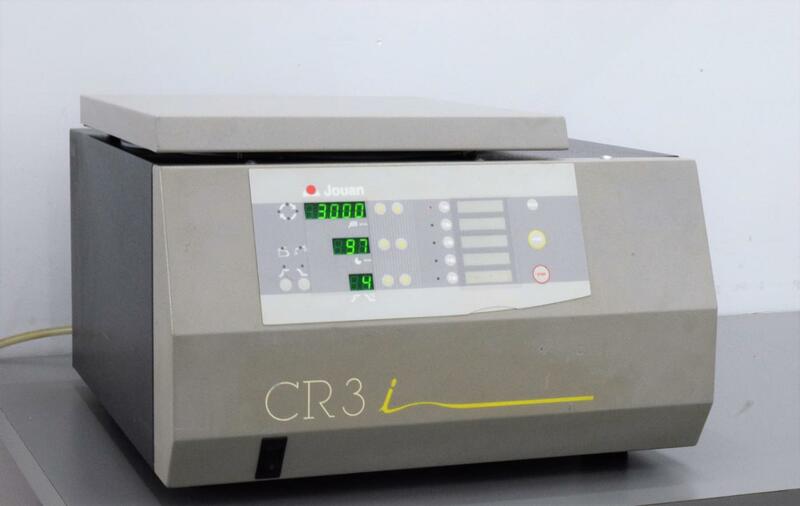 This Jouan CR3i Multifunction Benchtop Centrifuge contains numerous high-quality parts. If you are looking for replacement parts look no further, this would make a good parts unit. Manufacture's maxed rpm is 4,100, the digital panel is functional, the centrifuge drops to 2ºC fast. Since this is a non-function unit no warranty is included.